When using specific rates as opposed to the standard charge rate it’s important to be sure the correct rate is applied. Once a timesheet has been entered administrators can can edit the charge rate for any timesheet line from Bulk Edit Timesheets in either AbtracOnLine or Abtrac5. If you’d like more information on costs then try either Employee Cost Rates or Scaled Cost Rates. From Projects > Project Tasks > Right Click for Sub Task details. 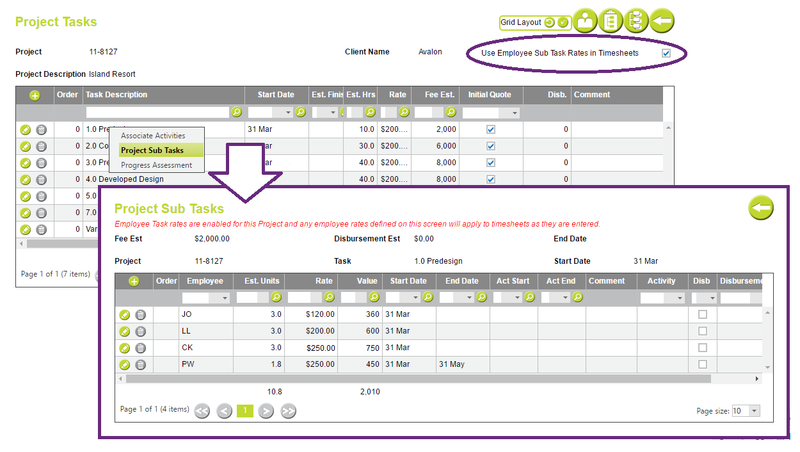 Then enter a task specific charge rate for each employee. From Projects > Project Activity Rates > Enter an activity charge rate for the current project. These rates will apply for all employees. 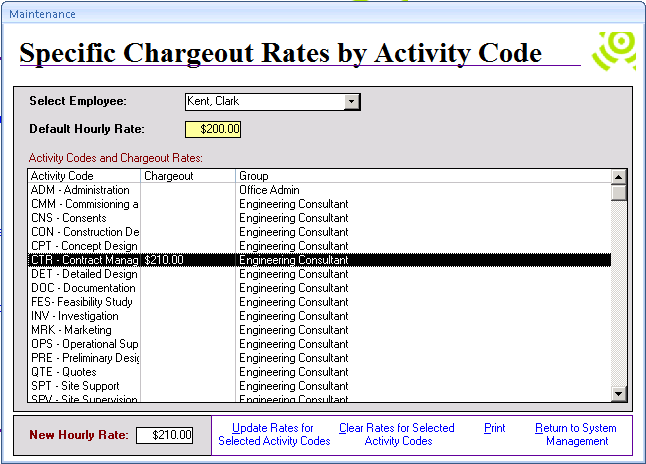 Any activity charge rates specified for the Client will also display. From Projects > Project Specific Rates > Enter an Employee charge rate for the current project. 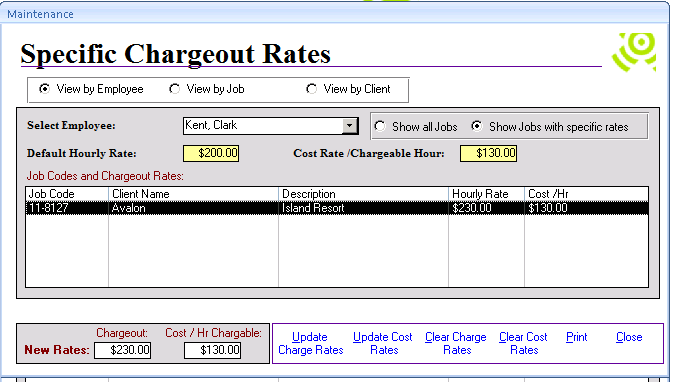 Any Employee charge rates specified for the Client will also display. From Clients > Activity Specific Rates > Enter an activity charge rate for the current client. These rates will apply for all employees. From Clients > Employee Specific Rates > Enter an Employee charge rate for the client. 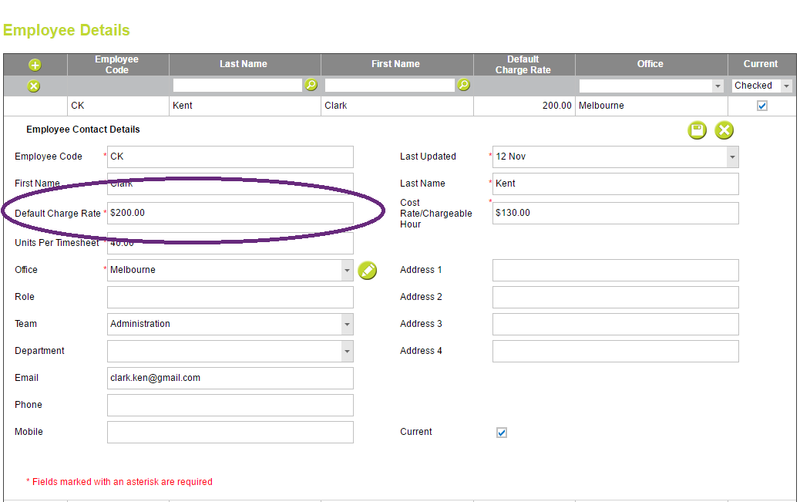 From Administration > Employees > Employee details you can enter a default charge rate. In Abtrac5 the available rates and where they are entered differs slightly from AbtracOnLine. 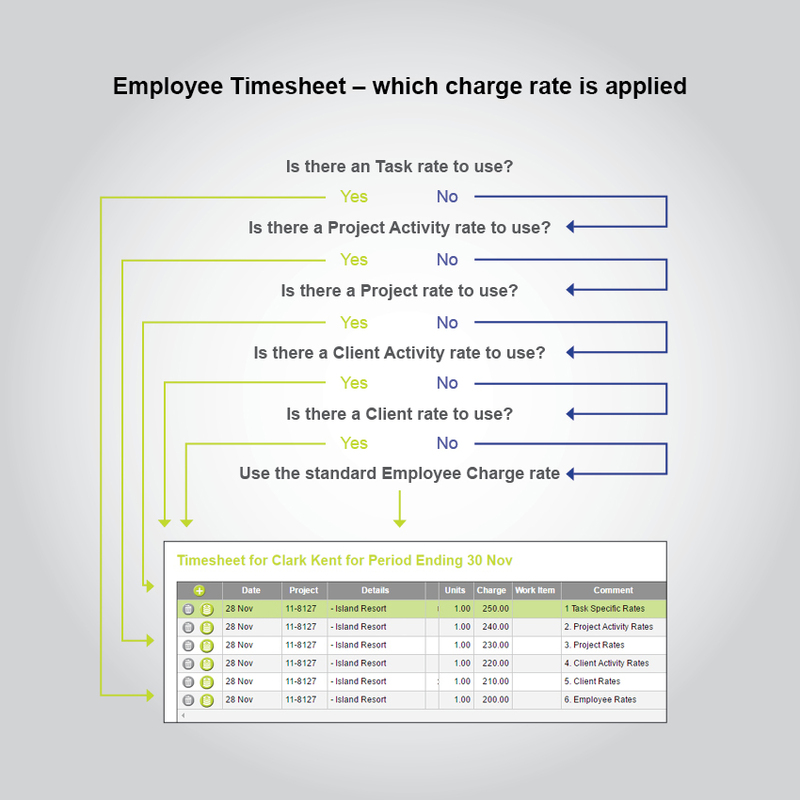 From Projects > Rates > Enter an Employee charge rate for the current project. You can either specify a charge rate, or choose to calculate project specific rates based on a percentage of the default rate. These Employee Specific Project rates can also be reviewed and updated en masse from System Management > Administrator > Employee Specific Job Rates. 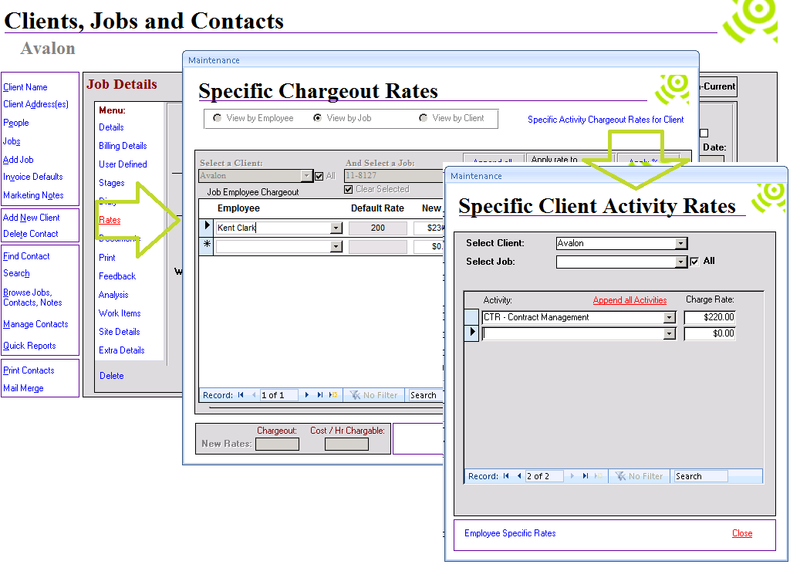 From Projects > Rates > choose Specific Activity Chargeout Rates for Client. These Activity Specific rates apply to all employees for the selected client, and optionally for all or selected jobs belonging to the same client. 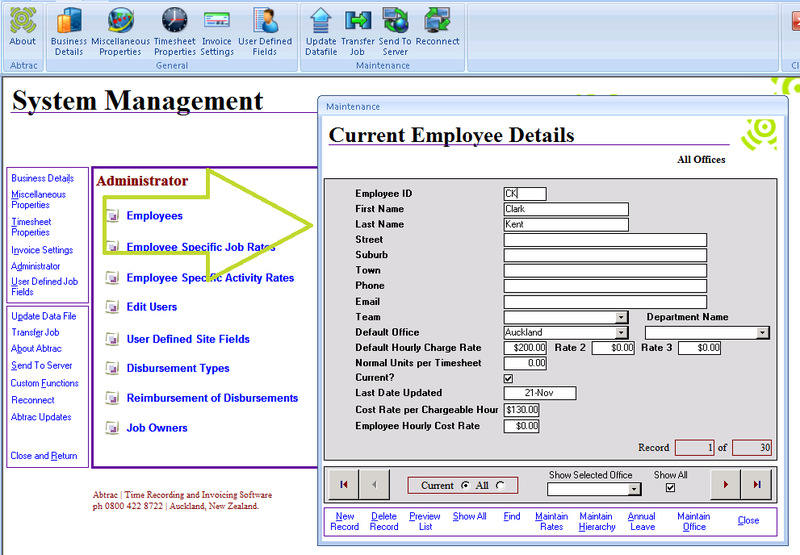 From System Management > Administration > Employee Specific Activity Rates you can specify charge rates by activities for selected employees. 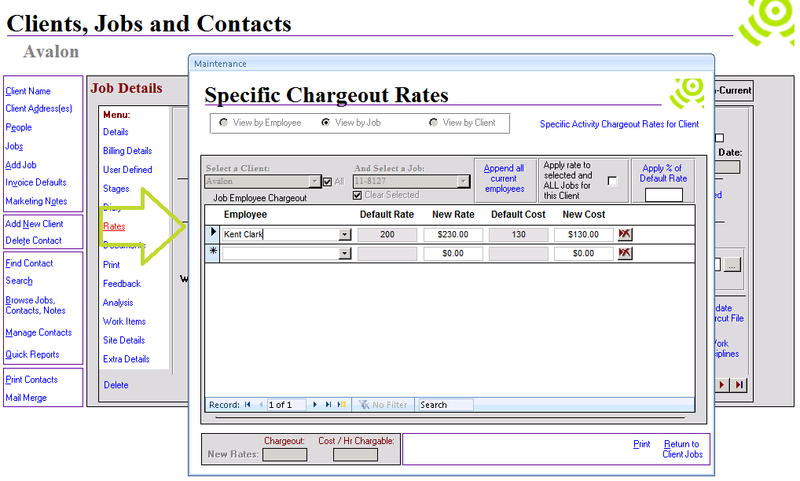 From Administration > Employees you can enter a default charge rate. This entry was posted in Administration Settings, Employees, Jobs & Projects, Time & Cost and tagged charge rates, employee details, employees, project rates, timesheets by Jen. Bookmark the permalink.